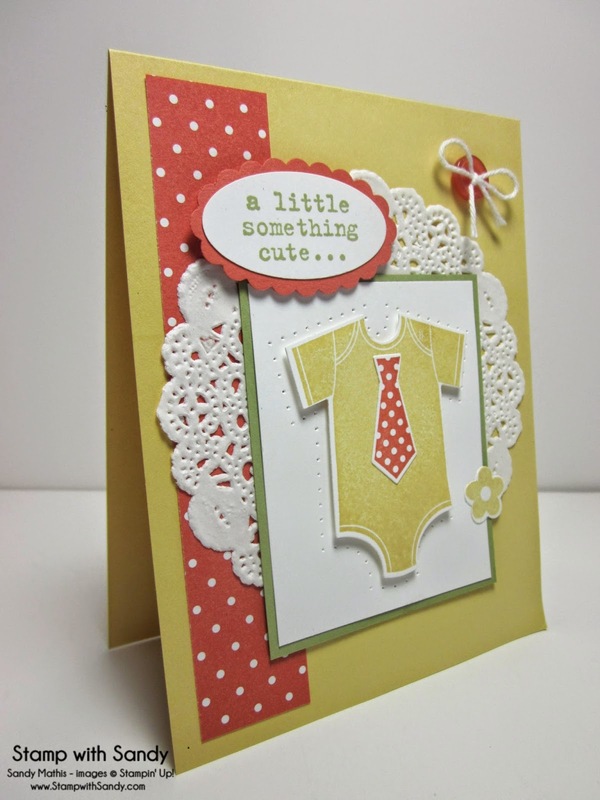 Stamp with Sandy: Something for Baby, Something to Say, Something for The Paper Players! Something for Baby, Something to Say, Something for The Paper Players! Greetings my Stamping Friends, and a very Happy Mother's Day to all the Moms out there! It is my pleasure to be the hostess this week at The Paper Players, and this week I've had the liberty to pick the challenge colors. How much fun is that, you ask? Lots!!! Calypso Coral, So Saffron and Pear Pizzazz are some of my faves, and I thought the subtle but citrusy combination would be fun for this time of year. I love any color combo with a shade of green in it, as it gives me the opportunity to do a floral card, which are my favorites. I was also inspired by the fern image, however.... After receiving a big box of new goodies in the mail the other day I felt the need to play with them! 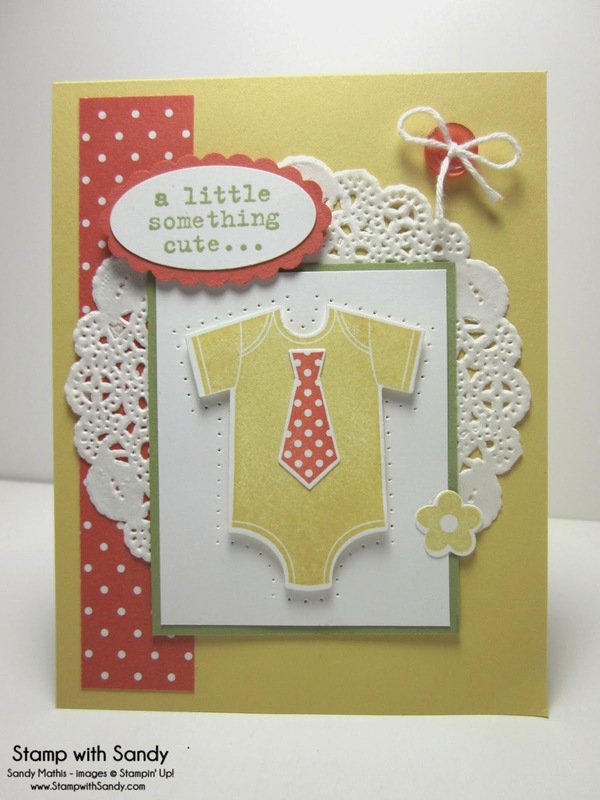 I thought these subtle colors would also work well for a baby card. So I came up with this card on Mother's Day for a Mom-to-be! How cute is this stuff? Seriously! It's been a real long time since I've seen any baby sets that I've fallen in love with, but in the new SU catalog there are several! 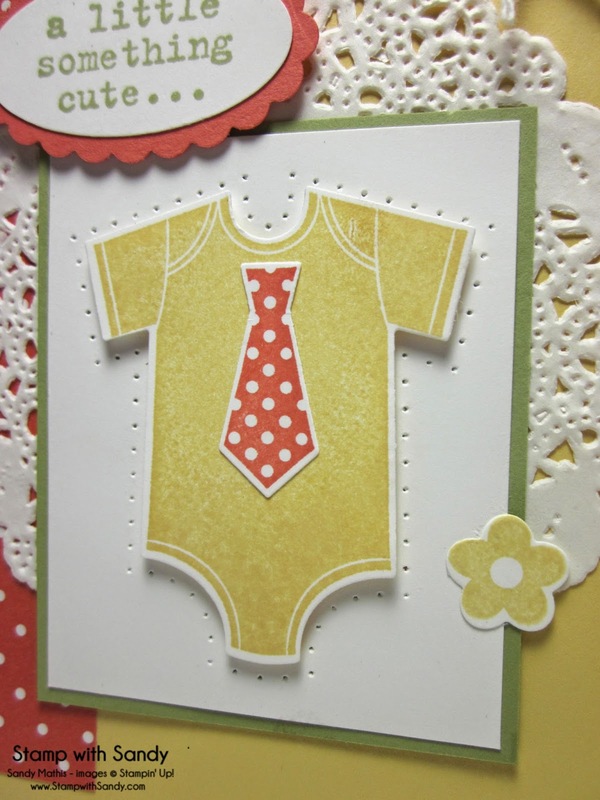 This stamp set is called Something for Baby, and also available are matching Framelits and a coordinating Piercing Pack. Love! 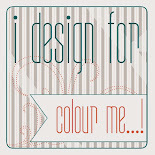 Add some polka dots, a doily, buttons and a bow... Pure baby sweetness! Following are the list of ingredients, but scroll down a bit if you'd like to see a few pic's of my fur child, Oreo. Whenever I neglect to share some photos of him, some of my followers tend to worry. He's doing extremely well, not to worry! 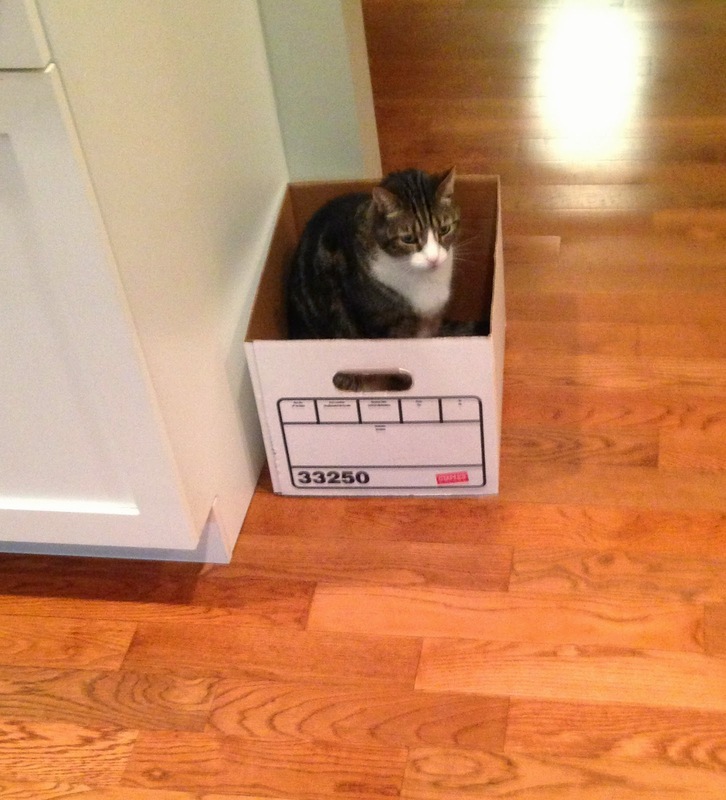 "Cat in Box": For some reason, Oreo loves these Staples boxes. 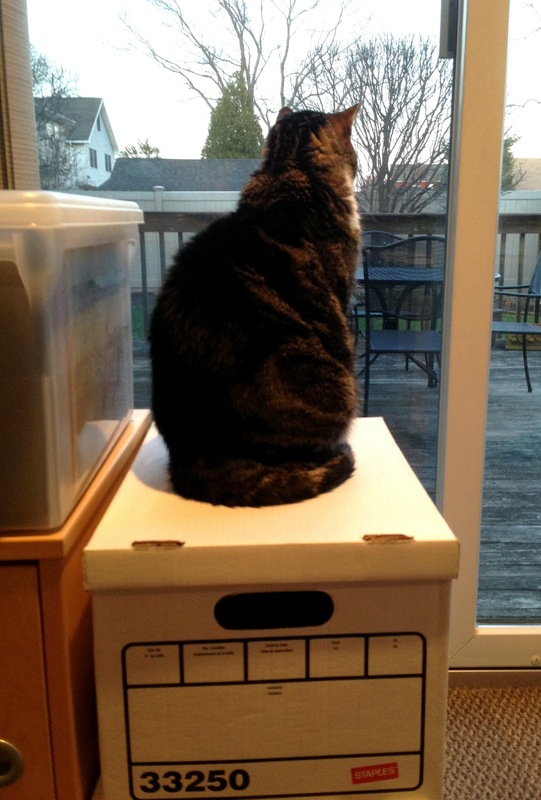 "Cat All the Way in Box": Ahh, now we know why! These boxes have a window, perfect for swiping at unsuspecting prey! He spent hours in this box with the lid on, playing to his heart's content! By the way, when you're in a box, it's much easier to catch one's tail... Hence, box violently moving across floor, seemingly on it's own... Pets are so entertaining! 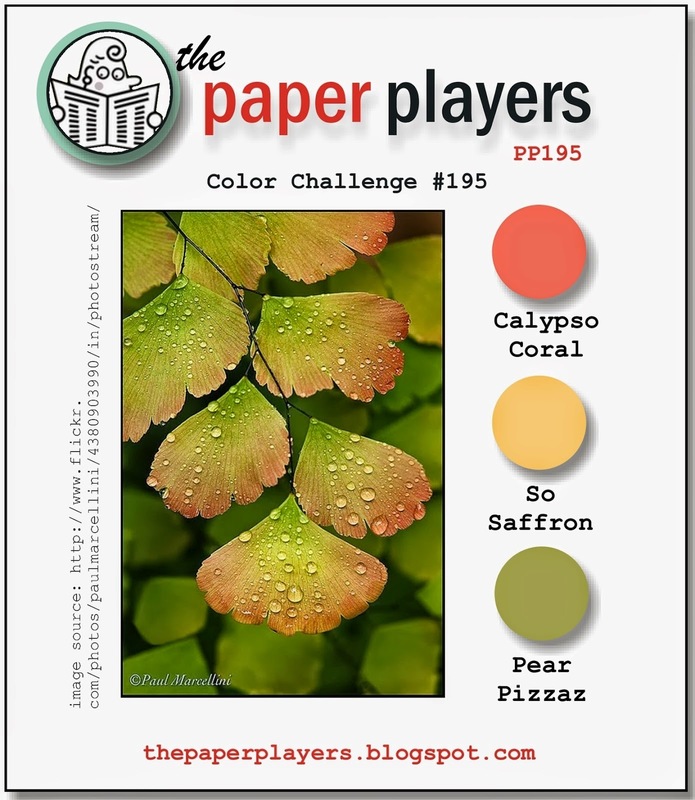 I'd be thrilled if you'd play along with my color challenge this week at The Paper Players! 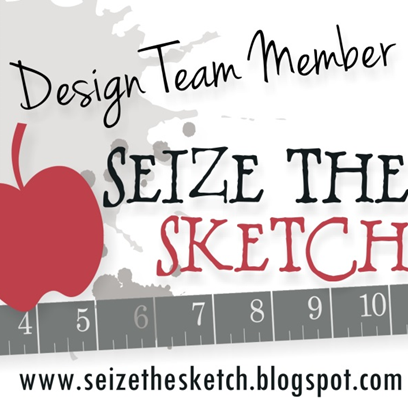 Please visit my teamates, too, and see their marvelous creations! Oh my gosh...you've used this new set and all it's accompanying goodies SO well....CUTE is right! And there is no kittie cuter than Oreo...I can't wait to show Cassidy those photos! Youtube videos of Maru the cat are a great way to entertain Cassidy for a while and these will too! 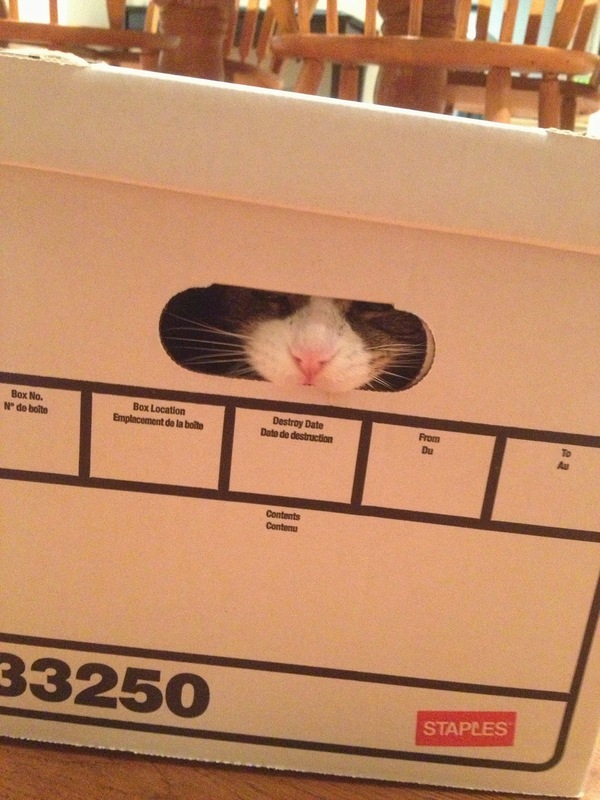 Sandy.... firstly... the cat in box photos are adorable!!! 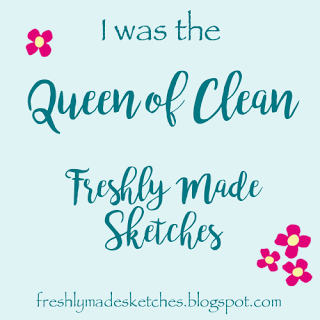 so glad you shared them and thank you for making me smile! Oh.. your card is wonderful, too. (the sentiment is perfect for Oreo!!!) I love the spotted tie with the spotted DSP and the little button. Fabulous! 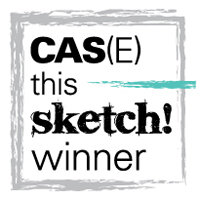 Oh... loved this color challenge, too!